The Kolbrin is a collection of ancient manuscripts said to have been salvaged from the Glastonbury Abbey arson in 1184. 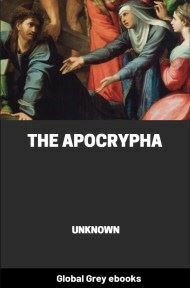 It is considered part of the Apocrypha by some, while others place it into the category of Modern pseudepigrapha. Unfortunately, the Kolbrin Bible has no authority beyond that claimed by its original publishers. On the Web there is no reference to "The Kolbrin" or "The Bronzebook" other than by the publishers; the official Glastonbury Website makes no mention of this "book" - and does not even mention the possibility of arson in the 12th century fire which supposedly was intended to destroy it. 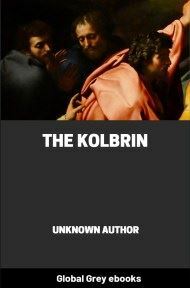 It is therefore probable that "The Kolbrin" is a literary hoax, albeit brilliantly conceived and very well written. 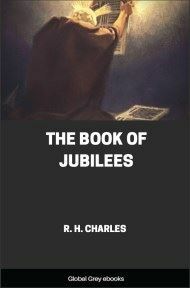 The Kolbrin, in its present production, incorporates a body of enlightened teachings which are the treasure of the centuries, a light on the path of Truth, and as applicable to the world today as they were in the past. There has, however, been a considerable amount of reconstruction, as the original writings survived only precariously. Most of what is presented here was actually salvaged from a pile of discarded manuscripts and was partially burned and damaged by the weather before being reconstructed into a manuscript from which this is rewritten. Undoubtedly, additional material has been incorporated with good intent, to fill gaps and elaborate on the original. Something may have been lost in the modernization of various parts. 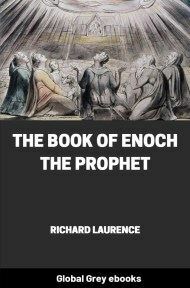 The important point, however, is that this is not intended to be a historical record, an intellectual work or literary effort, it falls short of these and is rather a coherent and consistent body of spiritual teachings. It is on this aspect alone that it stands or falls. The spiritual truths presented here are all that matters, the rest can be regarded as an embellishment, a vehicle for presentation and conveyance. The message conveyed, whatever its form of presentation, is always the essential core, and ethically, morally and spiritually the Kolbrin concedes nothing to other works of a like nature. It should be seen as an inspirational work, the substance of which can be accepted with confidence and trust. While great care was exercised in the past, to ensure that these transcriptions would be transmitted through the centuries in a form as unadulterated and unaltered as possible, little is known about the actual persons or body of people concerned. From what is known, the name 'Kolbrin' was originally applied to a collection of manuscripts which were salvaged from Glastonbury Abbey at the time of its burning. The fire, which was arson, was intended to destroy those manuscripts, but they were secretly housed otherwise than in the scriptorium and library at the time of the fire. In any event, it was believed that these 'heretical works' were destroyed, and as it happened the fire proved to be a good cover for their preservation. Some of the manuscripts were transcribed, at some time, on to thin metal plates and, collectively, these were known as 'The Bronzebook of Britain'. This designation was carried forward when they were written out in book STITCH from in the seventeenth century. The subject matter was then divided into chapters and the paragraphs were numbered. The whole was modernized in the latter part of the nineteenth or early part of the twentieth century. Incorporated in the modern Kolbrin are manuscripts which were traditionally clamed to have been copied from salvaged manuscripts which were not transcribed on to metal plates and formed a work known as 'The Coelbook'. 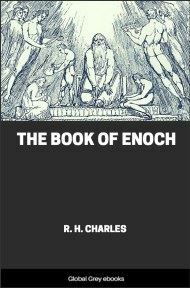 During the second and third decades of this century these books were in possession of a religious group in England which was never very powerful, because requirements for membership were too restrictive. It would seem that throughout history the Kolbrin has always been on the brink of extinction, yet it has survived, safeguarded by a few who barely knew what it was all about, who were neither intellectual nor wealthy and for whom the practicalities of life took precedence. Originally, there were twenty-one books, which were said to be twelve books of Britain, eight books of Egypt and one of the Trojans, but of their names there is little certainty. Only a portion of these books remains and it seems that much of historical nature has been trimmed away. It is known that at the beginning of the fourteenth century there was a settled community in Scotland under the leadership of one John Culdy. The old Culdians, who were guardians of what they called 'The Treasures of Britain', were never numerous and loosely organized, membership being maintained by itinerant smiths and other craftsmen. They seem to have previously been loosely known as 'Koferils'. The Kolbrin makes mention of 'Wise Strangers' and there is a tradition to the effect that these were the original Culdians (Kailedy). There are other explanations, but the writer is in no position to express any positive or worthwhile opinion. Does it really matter anyway? We are told that the Ferilmaster (a word of uncertain meaning) was Nathaniel Smith, martyred in the beginning of the seventeenth century. This appears to mark the end of the Old Culdians as a coherent body, but steps were taken to preserve the Kolbrin. 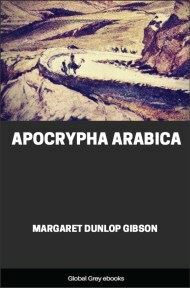 For a long time it was buried or otherwise hidden, but some time during the early part of the last century, copies were written out in 'biblical English' and two of the books were in existence just before the first World War. Since then the various books of the Kolbrin have suffered many vicissitudes and what remains is only part of the original. During the last world war the old books were thrown out as 'worthless junk', saved and again discarded as 'heathen works of the Devil', but luckily, again salvaged before irreparable damage was done. It has not been easy to reconstitute them, even with the assistance of a more knowledgeable co-worker who filled in a few gaps with compatible references to modern works. No doubt, in its present form the Kolbrin leaves much to be desired. The contents could perhaps have been condensed and much irrelevant matter deleted, but the compiler considered it his prime duty to preserve and retain every possible fragment and leave it to others better qualified to sift, revise and condense. Obviously, some of the proper names are spelled wrongly, and some of the original correct ones may have been replaced by others, for it seems that in the past there was a biased selection of material to be included. No claim is made regarding historical accuracy, for the compiler is totally unqualified to voice any opinion in this respect; but, as stated before this is not an historical work but the corpus of a doctrine and way of life.